Thomas Deely is Program Director for the new Masters Program in Applied Analytics at Columbia University School of Professional Studies and a Technology Investor. Thomas recently joined Columbia University from Goldman Sachs, where he was a Senior Engineer responsible for the Adoption Strategy for Enterprise Platforms across global businesses. Thomas also lead the Innovation Awards program and thought leadership on FinTech engagement at Goldman Sachs. Thomas first joined Goldman Sachs in London in 1997 as a Senior Application Developer and relocated to New York in 2000 where he progressed to hold a number of senior management roles implementing critical new business and regulatory initiatives. Thomas has managed global Technology teams, the setup of new Hedge Funds, new Trading flows & Financial Services businesses, new Balance Sheet & P&L Reporting platforms and Dodd Frank Reg Reform Legal and Compliance implementation post the 2008 financial crisis. Prior to Goldman Sachs, Thomas was an Application Developer in the Technology Division at JP Morgan where he joined Graduate Training program in London in 1994. Thomas is a CFA charterholder and earned a Masters in Technology Management from Columbia University, New York, in 2008 and a Bachelor of Electronic Engineering from University College Dublin, in 1994. Thomas has studied and applied open innovation concepts emphasizing the imperative for companies to profit from technology investments. Thomas has an active interest in markets, the socioeconomic impacts of technology, emerging technology driven business models, open source, analytics, innovation trends and the dynamics of successful businesses. 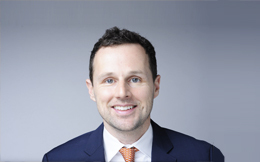 Thomas serves on the NY Advisory Board for Social Entrepreneurs Ireland and is active in the Irish American Community in NY. Thomas works out regularly and lives in Manhattan, where he is married with two kids.